This is a round Indianapolis Beer porcelain sign. This particular Indianapolis Beer sign is black and white. 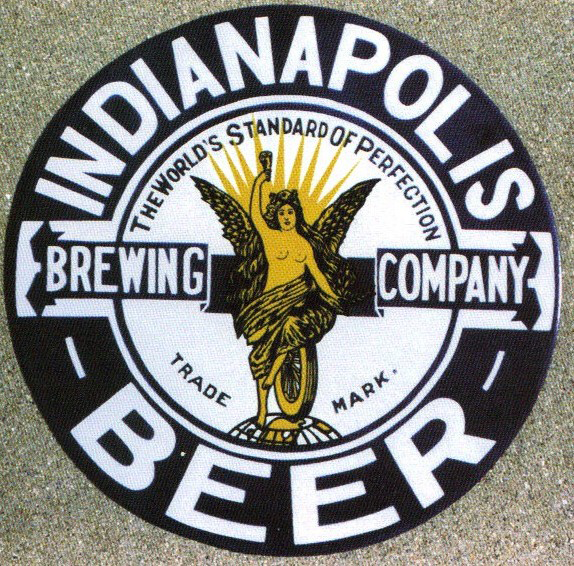 It reads, “Indianapolis Beer Brewing Company, The World’s Standard of Perfection, Trade Mark” and features a golden winged woman holding a torch in the center.